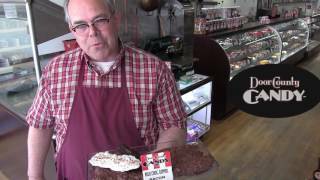 Delicious Chocolate cherry ginger bark made with Door County cherries at Door County Candy in Sturgeon Bay Wisconsin. 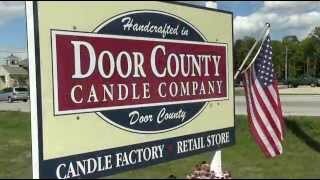 Find carmel, cheese and several flavors and mixes of gourmet popcorn at Door County Candy in Sturgeon Bay Wisconsin. 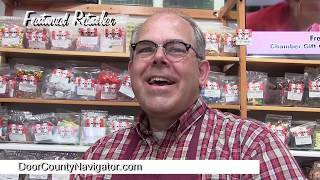 Terry Ulman gives an overview of his Sturgeon Bay store Door County Candy. 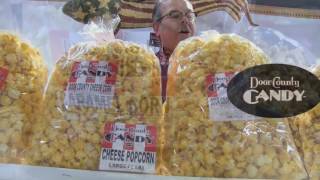 Great old fashioned fun and treats! 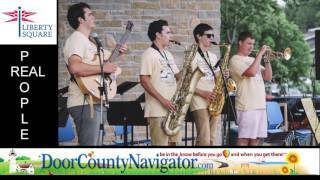 Family Fun. 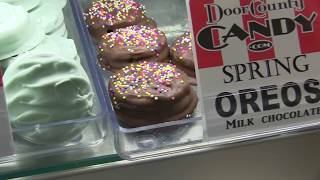 Terry talks about hand dipped chocolate Oreo cookies at Door County Candy in Sturgeon Bay. 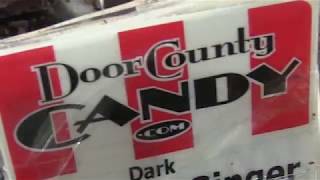 Find chocolate dipped bacon, bacon candy and novelty bacon items at Door COunty Candy in Sturgeon Bay Wisconsin. 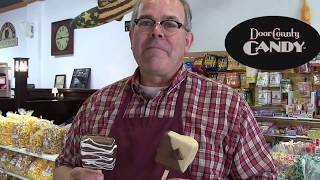 Look at these awesome rice crispie and peanut butter square on a stick dipped in chocolate at Door County Candy in Sturgeon Bay Wisconsin. 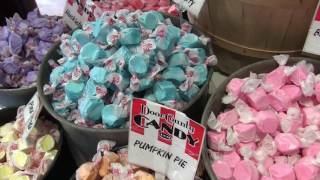 Look at the selection of salt water taffy available at Door County Candy in Sturgeon Bay Wisconsin. 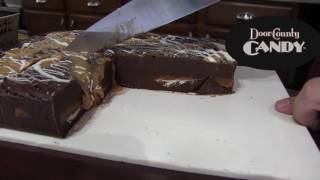 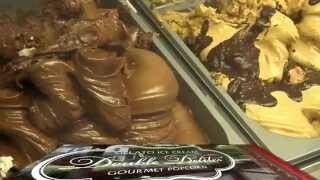 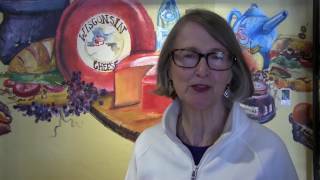 Terry talks about making sea salt caramel fudge at Door County Candy in Sturgeon Bay. 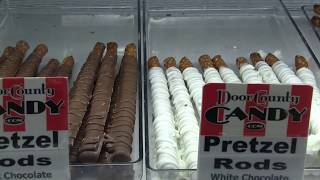 Pretzel rods dipped in chocolate and covered with candy at Door County Candy in Sturgeon Bay Wisconsin. 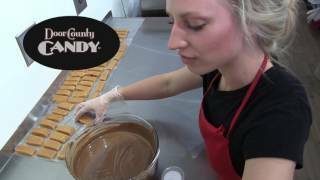 Hanna shows how they make sea salt caramels at Door County Candy in Sturgeon Bay Wisconsin. 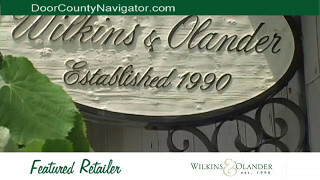 Women's and children's clothing and accessories in Sturgeon Bay and Fish Creek, Door County Wisconsin. 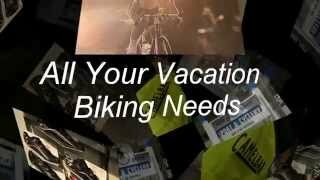 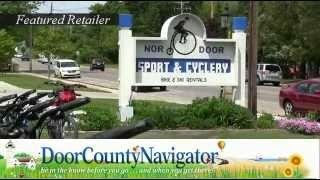 DoorCountyNavigator.com featured retailer. 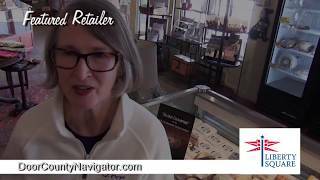 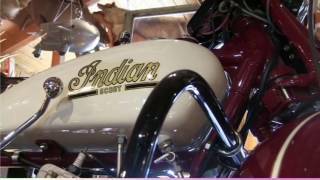 Find leather and more at Hide Side Corner Store in Door County Wi!